NASA Earth Observatory image created by Robert Simmon, using Landsat data provided by the United States Geological Survey. Caption by Michon Scott. Long before there were people, there were swamps. Those carbon-rich landscapes were eventually buried by mud and sand and rock. The weight of the overlying rocks compressed the swamps into coal seams. Hundreds of millions of years after the first swamps were buried and moved around the earth by geologic and tectonic forces, humans discovered that coal seams were an abundant source of fuel. 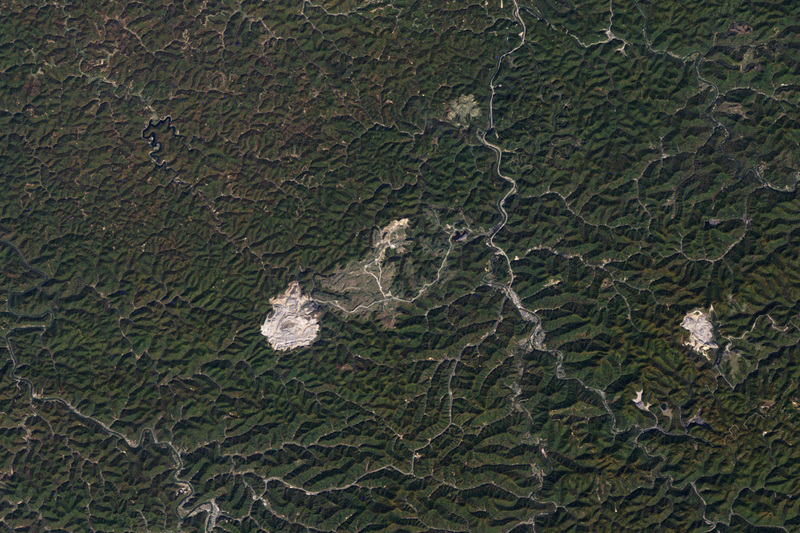 In West Virginia’s Appalachian Mountains, multiple layers of coal lie underground in ancient rocks. 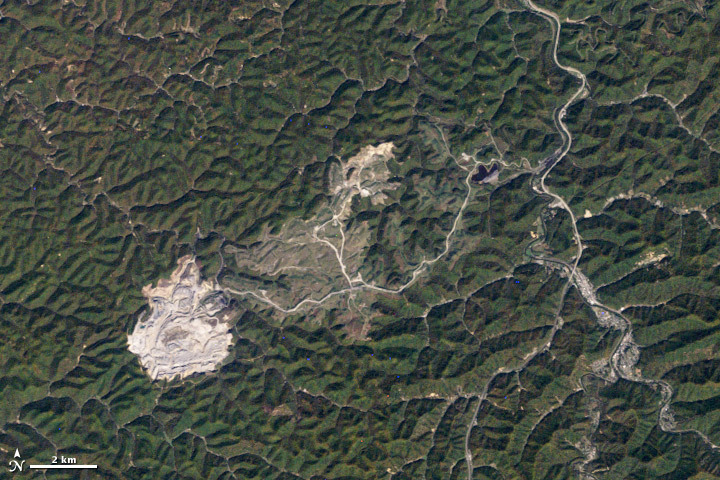 In some places, miners remove mountaintops to get at that coal. 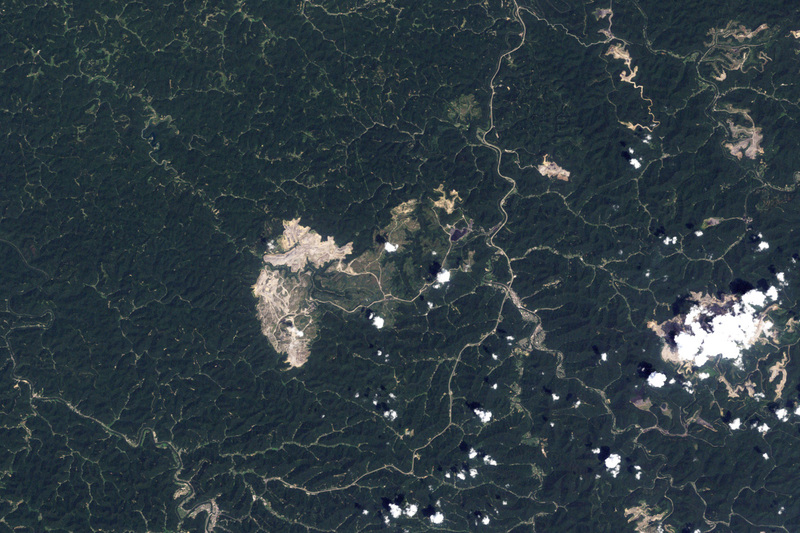 Acquired by NASA’s Landsat 5 satellite, these natural-color images show the growth of one such mine, Hobet, between 2000 and 2010. The law requires coal operators to try to restore the land to its approximate original shape, but the rock debris generally can’t be securely piled as high or graded as steeply as the original mountaintop. There is always too much rock left over, and coal companies dispose of it by building valley fills in hollows, gullies, and streams. The most dramatic valley fill is what appears to be the near-complete filling of Connelly Branch from its source to its mouth at the Mud River. According to a report from the U.S. Fish and Wildlife Service, nearly 40 percent of the year-round and seasonal streams in the Mud River watershed upstream of and including Connelly Branch had been filled or approved for filling through 1998. 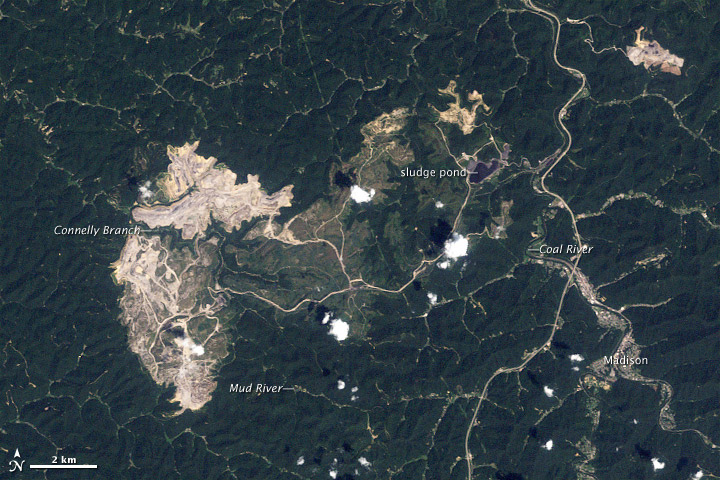 In 2009, the EPA intervened in the approval of a permit to further expand the Hobet mine into the Berry Branch area, and worked with mine operators to minimize the disturbance and to reduce the number and size of valley fills. In 2010, the EPA reported that Hobet 45 mine met the requirements of the Clean Water Act.